A new outbreak of romaine lettuce contaminated with E. coli—after outbreaks in late 2017 and early 2018—caused us to clean out the "crisper" drawer. 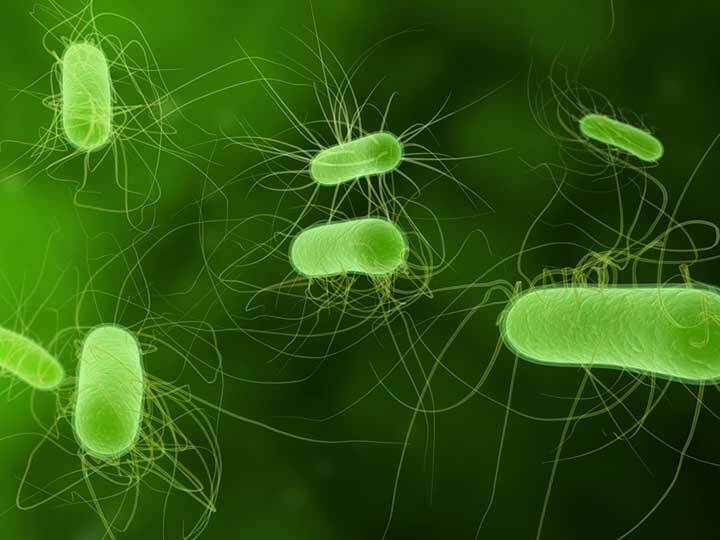 Learn how to protect yourself from deadly strains of E. coli. Escherichia coli bacteria typically live inside the intestines of healthy people and animals. Romaine lettuce contaminated by E. coli caused dozens of illnesses and five deaths between November 2017 and June 2018. Just before Thanksgiving 2018, we received news of another E. coli outbreak traced to romaine lettuce. No deaths resulted, but 43 people fell ill with a strain of Shiga toxin-producing E. coli (see sidebar). Thankfully, health officials announced on Nov. 28, 2018 that it’s again safe to eat romaine lettuce—as long as you read the label. The tainted romaine lettuce appeared to have originated in California’s Central Coast region. On the other hand, the FDA said it’s now safe to consume romaine lettuce recently harvested in Arizona, Florida, and Mexico as well as California’s Imperial Valley (the southeastern part of southern California). WHAT IS SHIGA TOXIN-PRODUCED E. COLI? News stories about outbreaks of E. coli infections, the CDC adds, usually refer to E. coli O157. The CDC estimates that STEC causes 265,000 illness, 3,600 hospitalizations, and 30 deaths in the U.S. every year. Not all romaine lettuce bears labeling that reveals harvest dates and regions of origin. According to Time, the produce industry plans to start adding that information to labels. For now, retailers are requested to post the information in stores (near checkout areas, for example). So… What Is E. Coli? Escherichia coli bacteria typically live inside the intestines of healthy people and animals. This is essentially where the bacteria comes from. Most varieties of this bacteria are harmless. Unfortunately, there have been some dangerous strains, such as the O157:H7 strain (as in the recent case of contaminated romaine lettuce), which can cause severe abdominal cramps, bloody diarrhea, and vomiting. You can be exposed to this E. coli strain by consuming contaminated water or food—especially raw vegetables and undercooked ground meat. 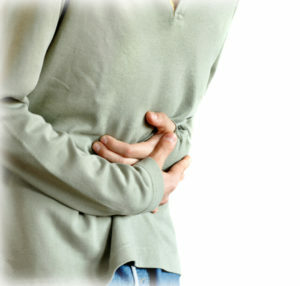 Healthy adults will usually recover from the infection within a week. Older adults, young children and individuals with a weakened immune system have a greater risk of developing kidney failure (hemolytic uremic syndrome), which can be life-threatening. Curious about where germs lurk? Visit our post Where Germs Hide: Our “Filthy 5” Everyday Items May Shock You! See also our post Hand Hygiene Is Key to Preventing the Spread of Infection. Raw fruits and vegetables. Animal “runoff” from farms can contaminate fields where the fruits and vegetables we eat grow. Leafy vegetables, such as lettuce and spinach are especially at risk of contamination, and that’s why it’s so important to wash those leafy vegetables (leaf by leaf!) extra carefully before consuming them! Ground meat. Slaughtering processes can put ground meat at risk of contamination because E.coli bacteria can spread directly from the animal’s intestines to the meat. Unpasteurized milk. There are many advocates of unpasteurized raw milk. There is no doubt it’s risky business. E. coli bacteria can get into raw milk during the milking process or from contaminated milking equipment. To prevent infections, the FDA has banned the sale and distribution of raw milk. All milk sold in the U.S. must be pasteurized and meet strict standards around pasteurization. The same holds true in Canada. Contaminated water. Just when you thought contaminated food was enough to worry about! Animal or human feces can pollute water including rivers, lakes and even water used for irrigation. Public water systems use chlorine, and other substances to eliminate E. coli, however, they are not fool proof— some E. coli outbreaks have been the result of tap water that has been contaminated. Drinking water in rural areas have a higher risk of being contaminated compared to urban areas. You can also become infected by swallowing just a wee bit of contaminated pool or lake water. Cook your meat well, especially ground meat. Don’t eat it pink or undercooked. Cook your hamburgers, for example, until they’ve reached 160 degrees Fahrenheit. Public health officials highly recommend the thorough washing of all fresh fruits and vegetables (pay close attention to leafy ones) in water to remove potentially harmful bacteria. Stay in-the-know about food recalls that are reported about through the Centers for Disease Control and Prevention (CDC), the U.S. Food & Drug Administration, and the media, and take them seriously! If you think you have contracted food poisoning, see your doctor, especially if you are pregnant, an older adult, or have a weakened immune system. abdominal cramping, abdominal cramps, bacteria, bloody diarrhea, children, cramping, cramps, dates, diarrhea, e coli, food, food poisoning, food recalls, germs, health, hearing, immune system, infection, kidney failure, milk, pain, spinach, toxins, vegetables. Does adding white vinegar to water during the washing of fruits and vegetables, a good thing to remove e-coli?